Call me old-fashioned, but I love the Royal Easter Show (Sydney). I love how it's the same every year. I love the district fruit displays, the fruit cakes, the scones, the jams, the paintings and art works. I love the dagwood dogs and corn-on-a-stick and over-priced chips. I love the crowds of happy families (to some extent). 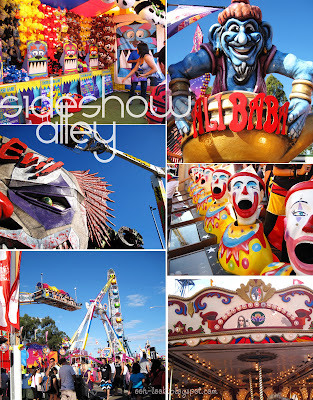 I love Sideshow Alley, the rides and the Showbag pavilion. Most of all, I like taking photos of everything! The Power Surge ride looked unreal. Note that I said 'looked' - I'm not silly enough to go on it, especially after lunch. Other showgoers didn't have any such qualms. It's not a Show without the creepy, open-mouthed clowns, or games where 'every child wins a prize'. PS: Can you spot me in the above picture? Lunch consisted of a plate of Twisted fries smothered with cheese and salt. See the amazed kid passing by. We missed seeing Robosaurus in action, but it looked massive as it was towed back to its enclosure. That's a small pony (or a giant man). I am pleased to report that I did not encounter any farm animals this year except for these pretty chickens and an inflatable cow. 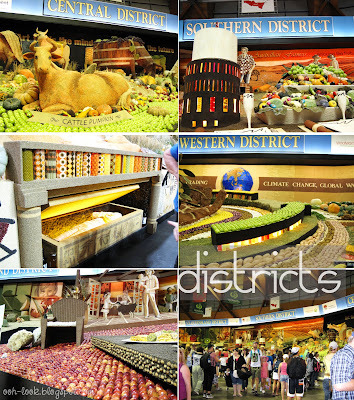 As usual, the district fruit displays were impressive, especially Northern District's 'Dawn of Agriculture' display, complete with a mummy in a casket. Fruit cakes chock full of fruit. And delicious lamingtons. 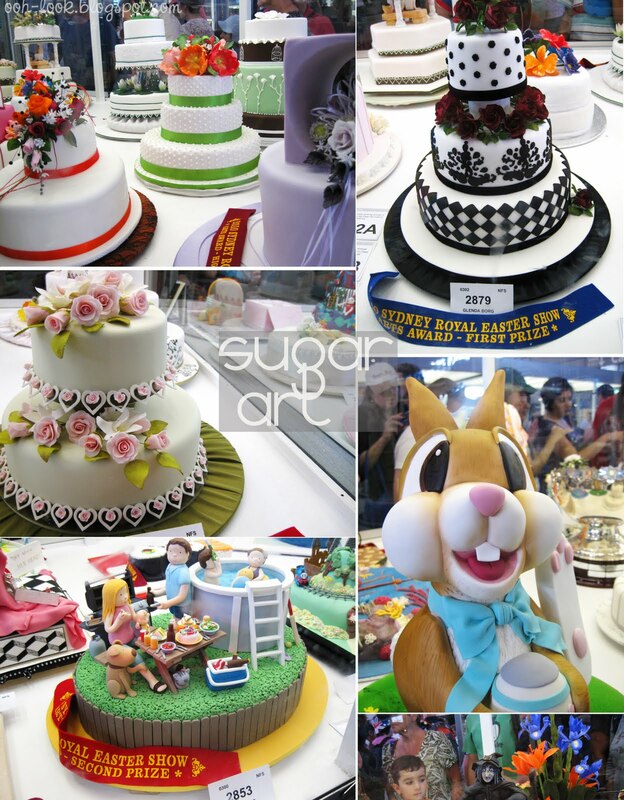 The decorated cakes were amazing this year. 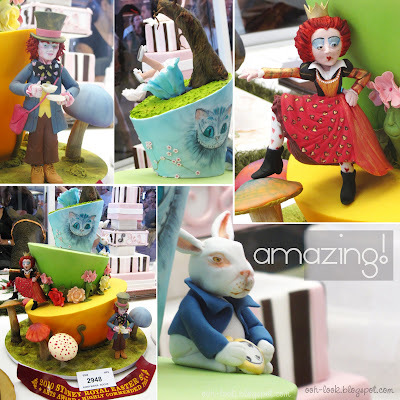 None more so than this Alice in Wonderland 'mad hatter'-style cake. It's by Anna Maria Roche, who was an instructor at the Planet Cake cupcake class I did a few years ago. Even though I deliberately avoided the cattle, sheep and goats, I could not leave the Show without checking out the dogs and cats. The cat judging was on and this magnificent white (ragdoll?) cat with one blue eye and one green eye won a few ribbons. At the dog pavilion, the samoyeds were fluffy, the Cavalier King Charles spaniels were cute, and this blue-shirted famishus spectaclii (juvenile) got lots of attention. It was a fun day, with quite a bit of walking around. I can't wait for next year's. You may also want to take a look at my visit last year. I can never seem to find the twisted fries even though I've been looking for two years! Ok, last year I wasn't prepared to queue but this year I was! And to get in the spirit of things, I did fork out $4 for a real lemonade but agree the Red Rock showbag was great value! looks like there's still some bargain show bag prices to be had. i haven't been for ages since it moved to homebush and i'm amazed you can still get showbags for $4. i thought they would have been all over $10 now. i used to love the Twisties show bag and don't forget Bertie Beetle :-) i'm craving some overpriced chips now. that amazed kid in the background is priceless. oh wow, ur photos are so vibrant! 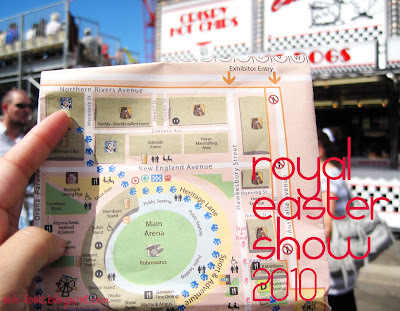 I went to the easter show on Sunday, I wasn't as impressed as you. I think it was because Howard was rushing me. However I did get to spend a couple of hours in the fresh food dome, and also saw the dogs. SOO CUTE! Ohh the oyster bar from Doyle's was absolutely delicious, I had a dozen to myself. There's also a mini store inside the dome that had home made ice cream, just with traditional flavours, it was so good, I had two cones to myself lol. I wish I had more time to see some of the shows like you did, oh wells, guess I'll wait till next year. Oh, those fries look fantastic! I'd love the dog and cat show too. Looks like fun! Hahah I bet I had the same expression as that kid when I saw that photo! Mmmm twisty fries! but no cheese on a stick? wow- the cake presentations look great. But I would've been all over that pet section. I went to the pet expo few months back and the samoyeds also got so much attention. 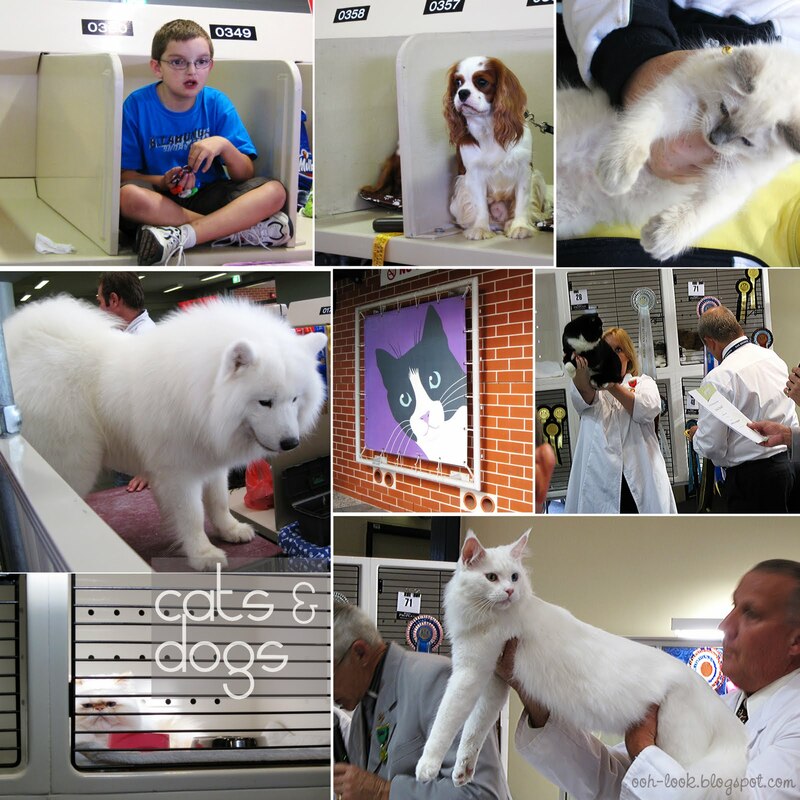 I got to play with a few cats, but I actually liked the Ragdoll...they just flop over you with full trust. It made me appreciate Creamy even more! 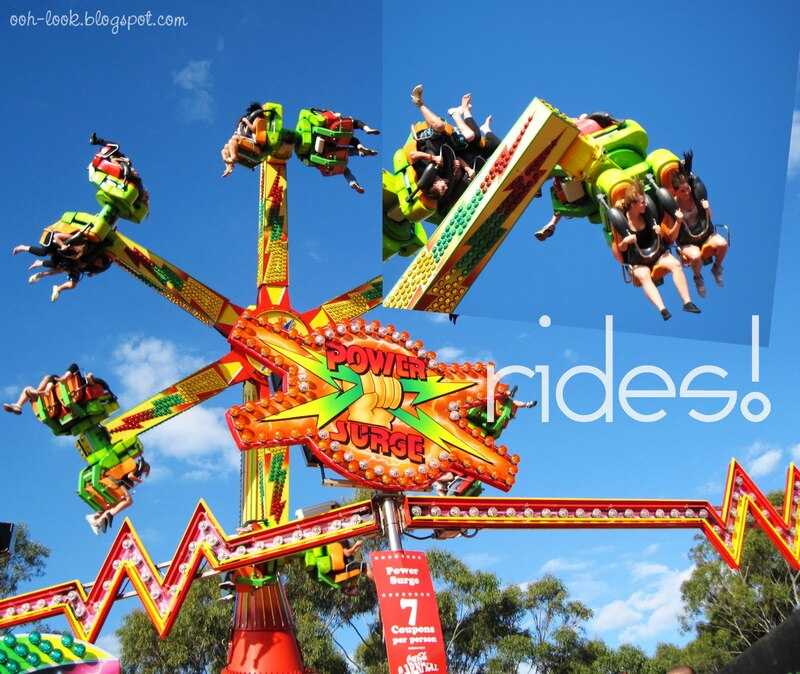 i love going to the easter show but can never find anyone to go with me! 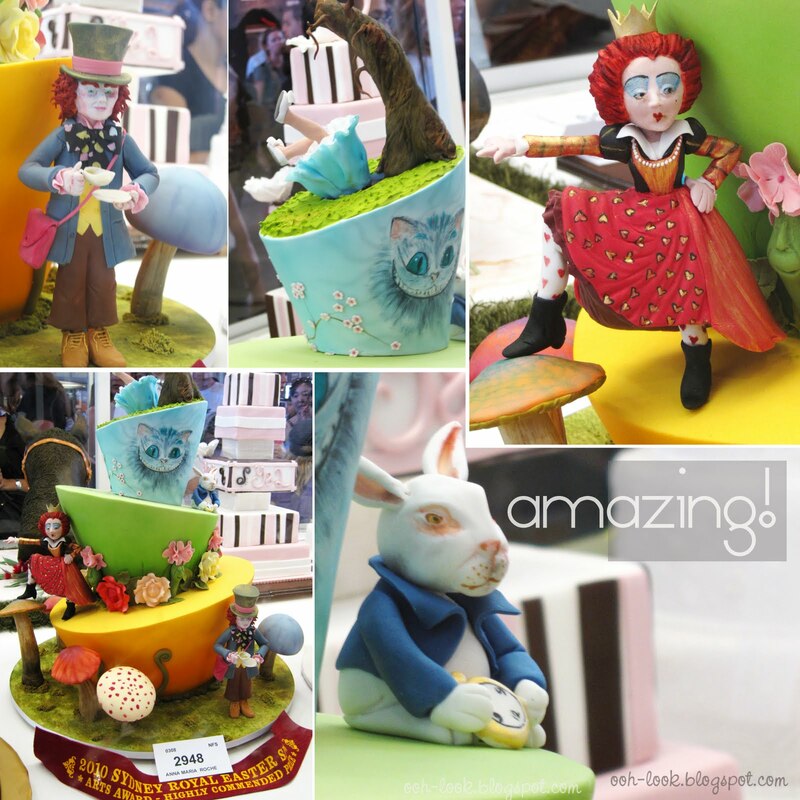 loving the alice in wonderland cake! 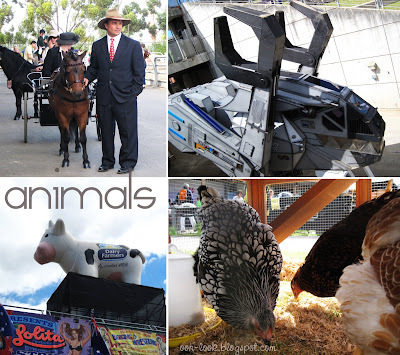 I love the easter show. Its a great excuse to run around like a kid and eat the cheese on stick until you get sick. I haven't been tot he show in the last couple of years. I think I must go next year. 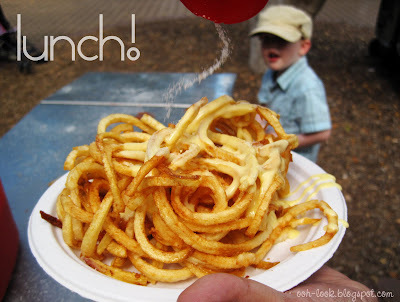 those twisted fries copped a mention in a few blogs I see:) they look great. I love the show too- but rural shows are even more fun ! Awww, all these wonderful pictures of the show are making me want to go! I haven't been for the last few years. That Alice in Wonderland cake is spectacular! Hi YaYa – the twisted fries queue was very long (and slow). I left my other half in the line and went elsewhere for a while until he got the fries, haha! And I did get the $4 lemonade, too – it was good! Hi billy @ a table for two – I was trying to think where else you can get twisted fries. I think you’re right, Hog’s Breath has them. Hi Angie Lives to Eat (and Cook) – I don’t know why I go every year. Maybe it’s because I think I’ll miss out on something? No chance of that, it’s the same every year! Hi Conor @ Holdthe Beef – Congratulations! You win.... kudos for having an eagle eye! Do you like Bertie Beetle? Isn’t it compounded chocolate – ergh? Hi Helen (Grab Your Fork) – your photos of Robosaurus were unreal. The kid in the dog booth’s prize was apparently the bag of chips he was eating! 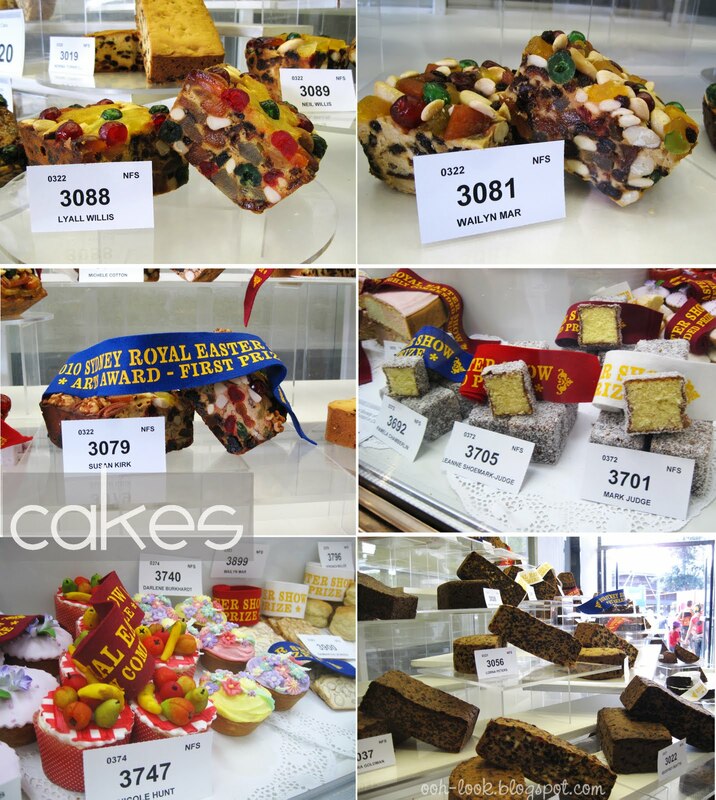 Hi Simon @ the heart of food – I counted 3 Alice in Wonderland cakes this year. The one I photographed was the most creative and best-looking, I think. Hi Trissa – you would love the dogs, for sure! 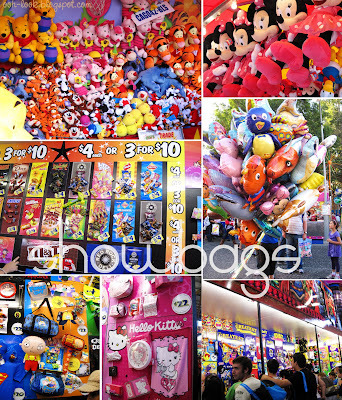 And, hehe, the only prize Tab would win is for being a greedy cat. Hi Linda – you were lucky to get some oysters – I didn’t have time in the end (spent too long in the twisted fries queue!). The dogs were cute, but they have nothing on your adorable Max! Hi gaga – it was a fun day. Lots of walking, though if I wanted to rest my feet, I could have sat on one of the rides. Er, no thanks! Hi Adrian @ Food Rehab – oh, Creamy would absolutely nail the Best in Show (Cats)! The ragdolls were cute, though. There was a kitten that kept trying to climb over its owner’s shoulder, everyone was going ‘Awwwwww’. Hi panda – I used to have trouble getting friends to go with me as well. The promise of a showbag sometimes helps, hehehe! 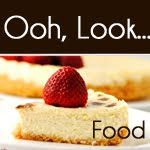 Hi Amy @ cookbookmaniac – I think that one year on, one year off is a good idea. 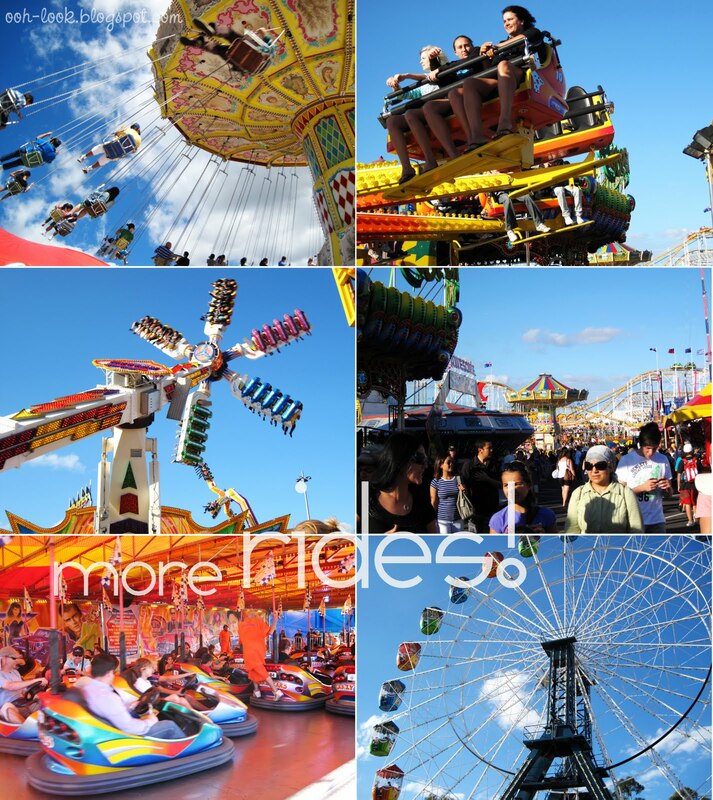 You don’t want to have too much of a good thing at the Easter Show. Hi Betty – I saw the ads for the Moore Park show. It’s good that it’s in the city – less far to travel. Hopefully they’ll put it on next year too. Hi Shanks – it’s surprising how much I still remember from childhood. Maybe it’s because the Show is exactly the same?